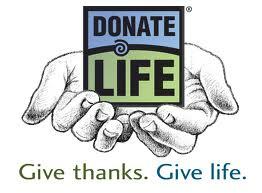 Below are links to information on organ & tissue donation provided by government, non-profits, and corporations for news, awareness, and education. For a list of transplant centers and their phone numbers who are located in the United States and are members of the U.S. Department of Health & Human Services' Organ Procurement and Transplantation Network, click HERE. The Scientific Registry of Transplant Recipients lists transplant centers by transplant rate and outcome assessment. For this list, click HERE. The following websites provide information on developments in transplantation. AOTA is not responsible for the information provided at these websites. These links are provided as a courtesy. Published twice monthly, this frequently cited scientific journal features extensive coverage of the important advances in transplantation surgery. Areas covered include experimental and clinical transplantation, immunobiology, immunogenetics, histocompatibility and tissue antigens. Issues also contain overviews, analyses and commentaries, rapid communications, brief communications, letters to the editor, and announcements.